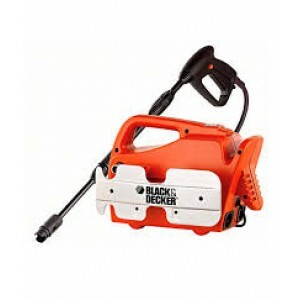 This item has been discontinued by the manufacturer and not available any moreBlack Decker PW1300C High pressure washer It is compact, lightweight and portable and ideal cleaning patios, decking, garden furniture, bicycles and cars. A fine mesh wa.. 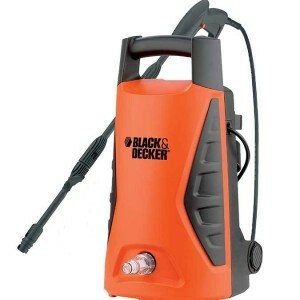 This item has been discontinued by the manufacturer and not available any moreBlack Decker PW1370TD High Pressure Car Washer Washes your car clean, in your home with out taking it to a garage or service centre. Cleans the tiles in the garden .. 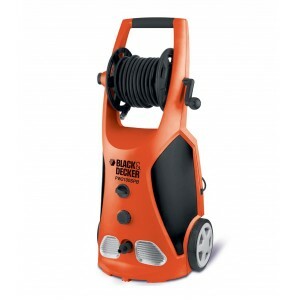 This item has been discontinued by the manufacturer and not available any moreBlack Decker PW1700SPX High Pressure Washer PW1700SPX a High performance & Silent operation, 3 Axial-piston wobble-plate pump. 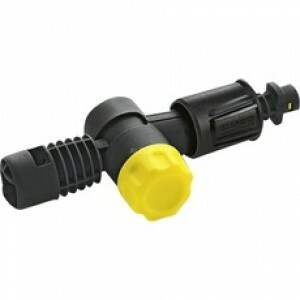 Automatic safety valve with l.. 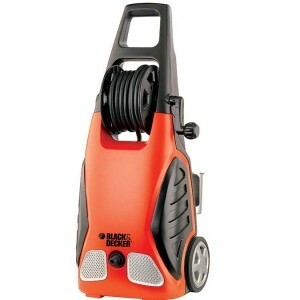 This item has been discontinued by the manufacturer and not available any moreBlack Decker PW2100SPB High Pressure Car Washer Applications: A powerful & Heavy duty washer from Black Decker with Induction motor for smooth & conti..
Bosch Detergent Nozzle for AQT Car Washersfor mixing detergent, cleaning, washing liquid chemical with the water outlet on high pressure washerThis Detergent Nozzle can be used for bosch high pressure washer AQT 33-10, AQT 33-11, AQT 35-12, AQT 37-1.. 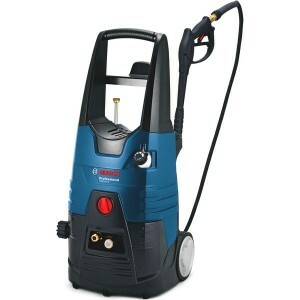 This item has been discontinued by the manufacturer and not available any moreBosch GHP 6-14 High Pressure Washer 150bar 2400w (Induction)Description :High pressure cleaner Bosch GHP 6-14 professional - a new development known german manufacturer. Th..
Bosch High Pressure Replacement Hose for AQT Car WashersSpare high pressure hose Suitable for Bosch AQT 33-10, 33-11, 35-12, 37-13 model high pressure washers ..
Bosch Roto Lance for GHP high pressure washerSuitable for Bosch GHP 5-13C, 5-14,6-14,8-15,5-55,5-655-75 model pressure washer.. 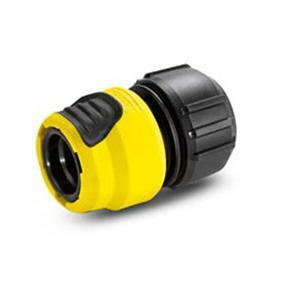 Description Hose coupling middle Aqua universal matter which exists tube diameter if 1/2 ", 5/8" or 3/4 ': the extra-tight fit Karcher hose couplings basically always - guaranteed. 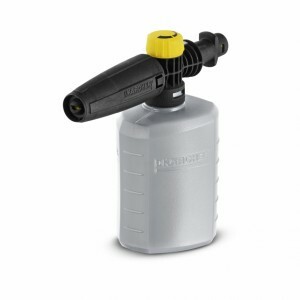 In addition, to convince the universal hose coupling..
Karcher 0.3l foam nozzle for Karcher Pressure Washers Features: Foam nozzle with powerful foam effortlessly cleans all types of surfaces, e.g. car or motorcycle paint, glass or stone, Capacity: 0.3 litre container. .. 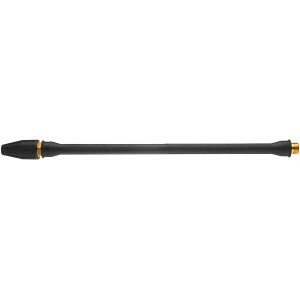 Product Description Vario joint to 180 ° continuously adjustable vario joint for comfortable cleaning of hard to reach places. The vario joint is attached between trigger gun and accessory or between lance extension and accessory. 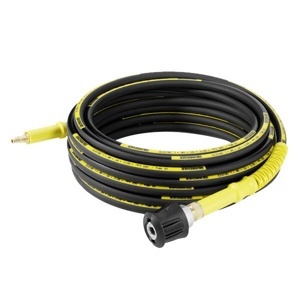 ..
9 m high-pressure replacement hose for K3 – K7 series domestic pressure washers from 2009, where the hose is connected to the gun and pressure washer per Quick Connect connector, 160 bar, 60 °C. 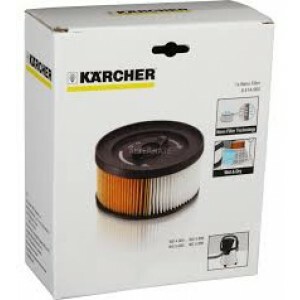 ..
Kärcher cartridge filter suitable for wet and dry use without filter replacement. Filter with high dust retention. Dirt doesn't stand a chance. 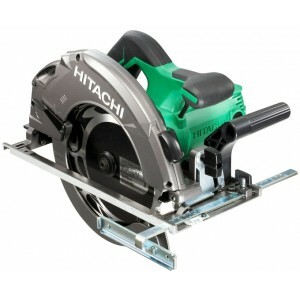 SPECIFICATION : Weight (kg)	0.1 ,Dimensions (L x W x H) (.. 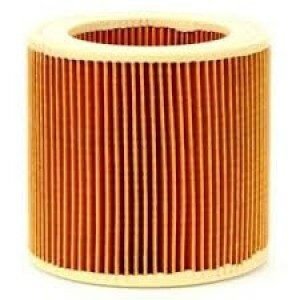 Description The nano-coated cartridge filter lowers the loss of suction. 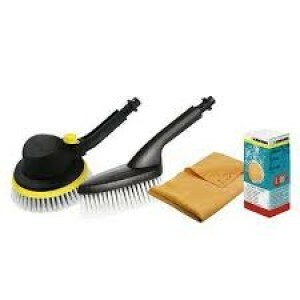 Increases the amount of dirt that is held back. 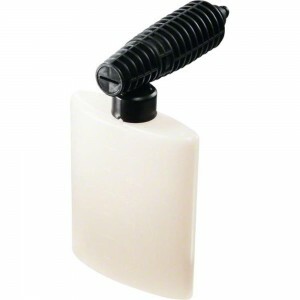 Allows for wet and dry suction without changing filters. Less filter clogging. .. 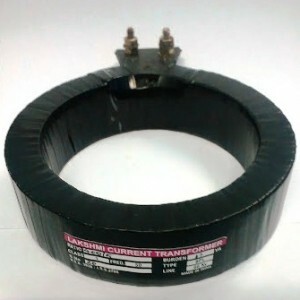 Description High-pressure extension rubber hose for greater flexibility. 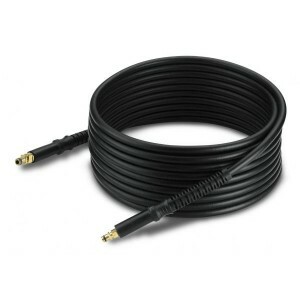 10 m high-quality hose, steel reinforced for durability. 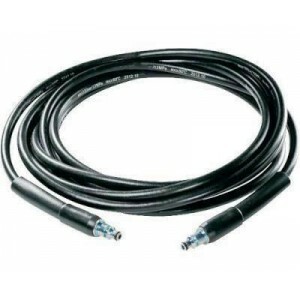 For K5 – K7 series from 2008 with Quick Connect connector. ..